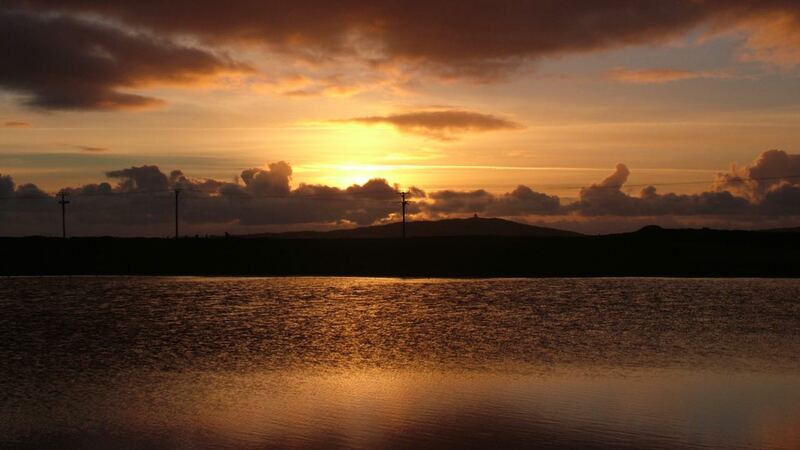 There’s much more to the Isle of Tiree than the crofting township of Scarinish. With the BT exchange Scarinish has a reasonable broadband speed. For me it has the attraction of the pier and old harbour. It has the Bank, the Co-Op and a Post Office. 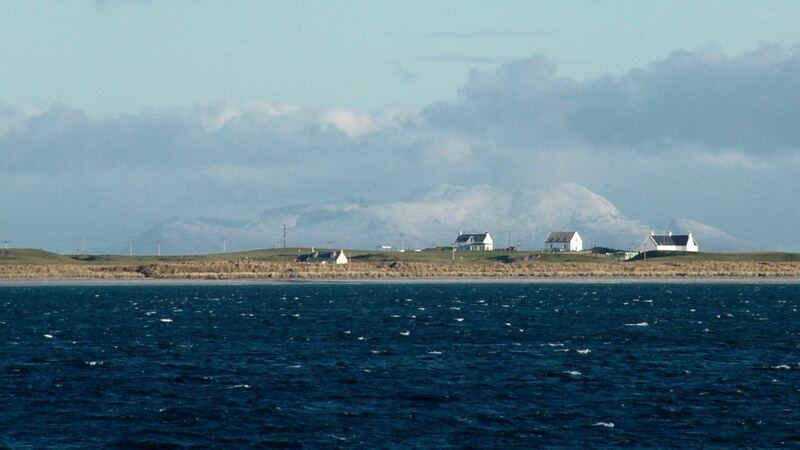 But Tiree has much more to offer. Unlike many Hebridean islands its beaches are not limited to the West Coast. 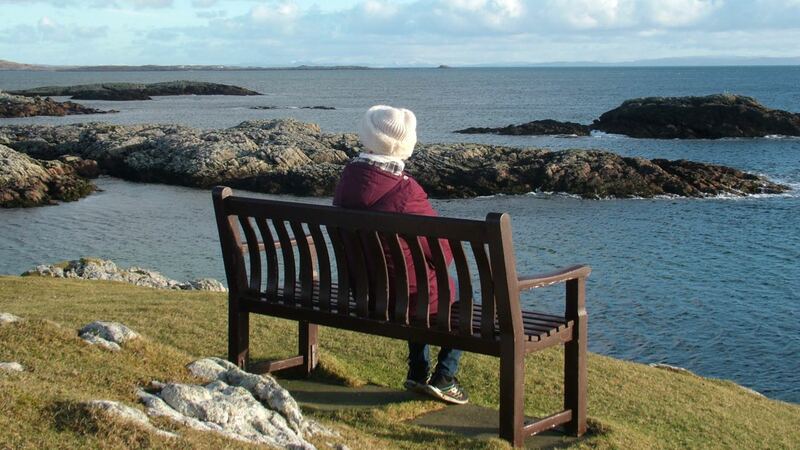 North, south, east and west – on Tiree you are spoilt for choice. No wonder so many surfers return again and again. 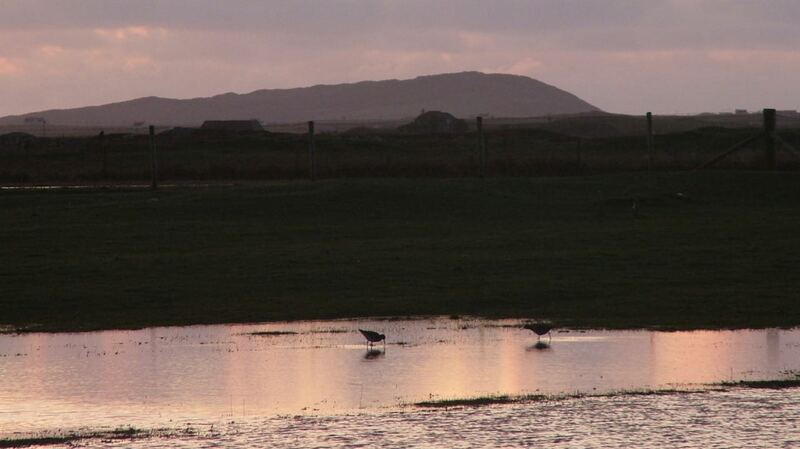 But it is not just the beaches and machair that mark Tiree out. It’s the sense of community and the friendly welcome. It’s the consideration and helpfulness of others. People don’t just make Glasgow. At present, for much of the time, any photographs have to be home based. Well! Not quite literally! I mean Scarinish based – walking distance. But with eyes to see there is so much on our doorstep. But it certainly felt like the sunshine capital from sunrise to sunset. Stepping out to walk, our eyes were drawn first to the Cuillins on Rum. It is one of the ‘Small Isles’ lying to the north of our neighbour Coll. Yet it felt so close as we looked out across Gott Bay. There it was snow capped. Across the Passage of Tiree lie the Treshnish Isles and the Isle of Mull. Even although there was a decided nip to the air. It was so tempting to sit on ‘my chair. And look across to Mull. “My chair” by the Lighthouse – Different Bonnet! Snow and clouds appeared to merge on Mull’s Munro – Ben More. At over 3,000 feet Ben More catches they eye. That is when it is a clear day. With sunset approaching, Ben More quite literally glowed. And to the West, our own Ben Gott and Ben Hynish became surreal. 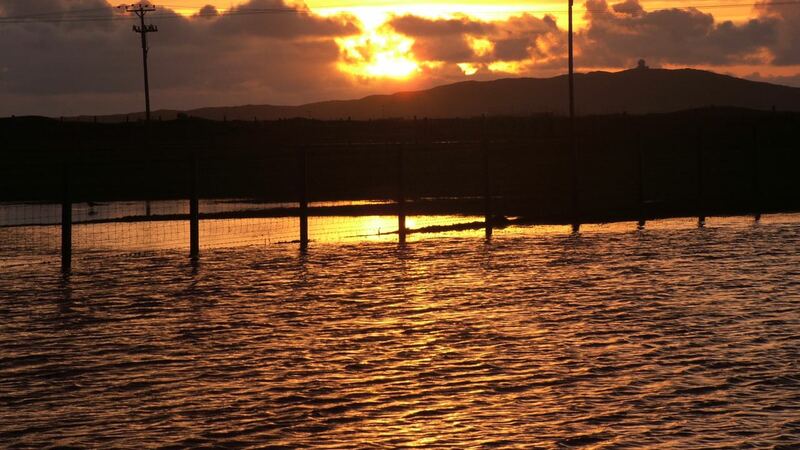 It was if the local tarns, lochens and flooded fields became golden mirrors. And so to this morning . . .
Gone is the sunshine to be replaced by grey sky and rain. But not quite! There was a ray of sunshine – an encouragement. if a little bit windier and cooler than we are used to! The people were so friendly and we enjoyed ourselves with lots of walks. The message concluded with words from the Bible’s song-writer. Thanks for that ray of sunshine.